Highlight : This 3 day trip takes you into a riverside forest camp and the world of the Phnong people where you will spend time learning about the lives and culture of these famous woodsmen and experience in nature. Tour Highlight: Overnight at camping site in tents nearby the hidden jungle temple of the heritage list site, Trekking through the jungle, waterfall, Grand Buddha reclining, Hidden Jungle temple and bat cave. Highlight: Experience the same excitements of discovering the hidden temples in depth of the youngest forest conservation at the national park of Koulen Mountain ruins the first time. Tour Highlight: Overnight at camping site in tents nearby the hidden jungle temple of the heritage list site, Trekking through the jungle, waterfall, sambar deer, gibbons and wild pig. 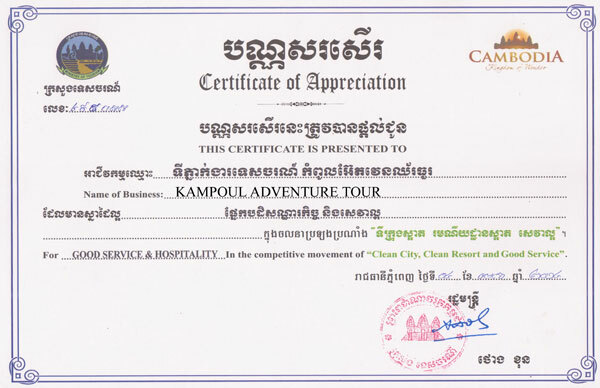 Tour Highlight: Hidden Treasure jungle temple camping-Jungle Trekking-magnificent waterfall-Grand Buddha Reclining-Jungle camping sunset and sunrise-the world famous of Angkor Complex exploring.